Sun pillar ending in a V-shaped upper tangent arc. 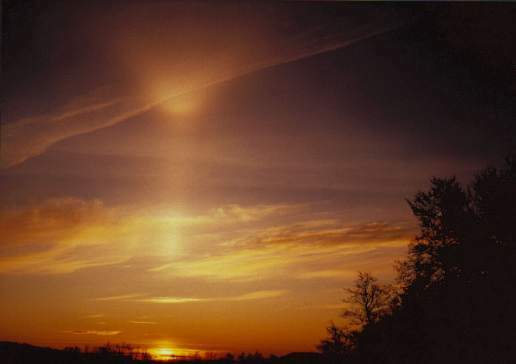 Photo taken on February 15, 1988, at around 7:30 a.m. Location: Veenhuizen, the Netherlands.